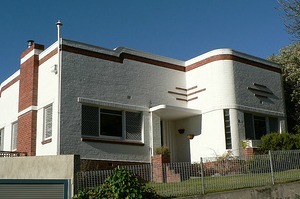 Your photo of the ART DECO house in Hobart interests me! I live in the house and have made major alterations to this house without destroying the ART DECO Facades. If you are interested I will send an article to you. I won a design award for the work I did on this particular house. By all means. I would love for you to share your story. Write me at homesower@yahoo.com.